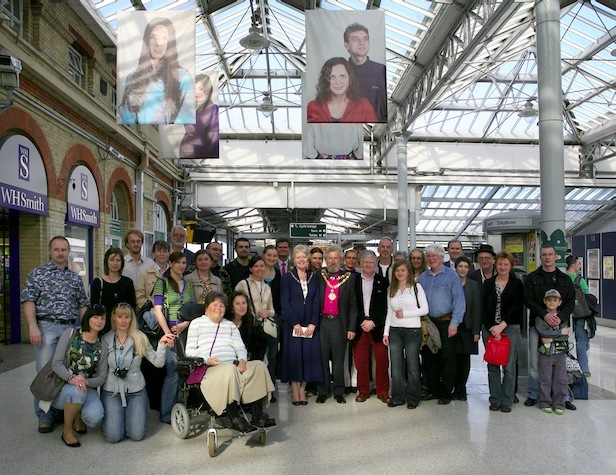 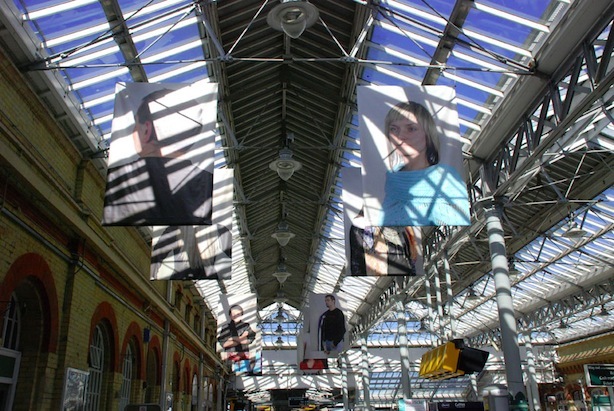 An installation at Eastbourne Station as part of Eastbourne Festival 2009. 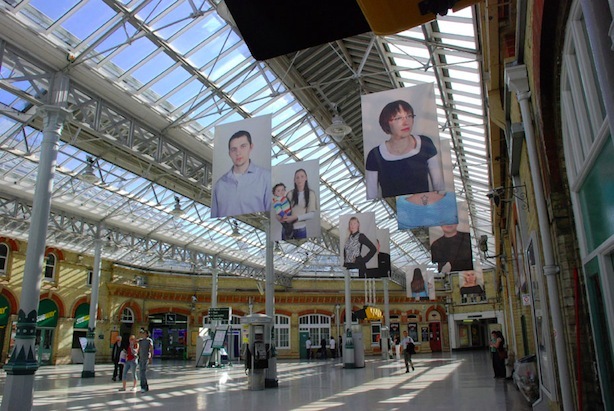 Large banner portraits by award-winning photographer Lisa Barnard hung from the roof of Eastbourne Station accompanied by a rack of 24 postcards, combining photographs of domestic ephemera with snippets of texts from interviews conducted by by Mark Hewitt with Polish people living and working in Eastbourne focusing on their thoughts, aspirations and sense of identity. 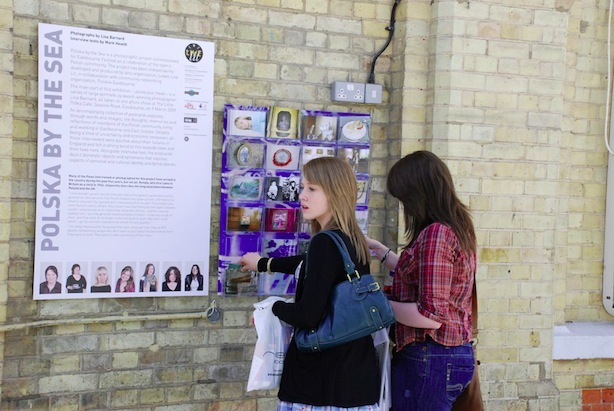 Boxed sets of the postcards are available for purchase through the LLL website.